It’s a sad thought that more men, every day, are coming of age with absolutely no experience driving a stick-shift. To really add insult to injury, there are more men running around who don’t know how to drive a car period, but they’re beyond help if they’re that far gone. Driving stick is not a difficult thing to learn, and you don’t need to own a manual-transmission vehicle to acquire this skill. Have a friend teach you, hell, rent a car if you have to, it only takes a couple of hours to get the hang of it. At some point, just about everyone comes across a situation when they need to drive someone else’s car, and there’s a pretty decent chance that car will be stick. You’ll want at least a vague familiarity with it. There is absolutely NO excuse for this one. It’s now 2009, TV’s with wires coming out the back of them haven’t been new or fangled for 20 years. The wires are color-coded, and even labelled with handy names like “input” and “output.” Here’s a hint, if something outputs, there’s an input somewhere waiting for it. With HDTV’s on the rise now, it’s even easier with HDMI plugs, since there’s only one cable. Your grandfather may get away with having the Geek Squad come out to the house to install his new TV, but you need to man up and handle your own business. Everyone has a toilet, most houses even have more than one. They’re not new and they’re not that scary inside, either, yet somehow this all goes out the window the moment that flush handle stops making noises. Odds are, if you take the lid off the back of the toilet and peek in there, you’re going to immediately see what’s wrong. It’s not a complicated assembly, and if you really can’t figure out how the flapper works, the guy at Home Depot will be happy to take one and half minutes to explain it to you. There should never be any instance when a man is handed a map and says “I don’t know what I’m looking at here.” It may sound silly to some, but it happens every day. The culprit is usually the same guy who can’t drive. 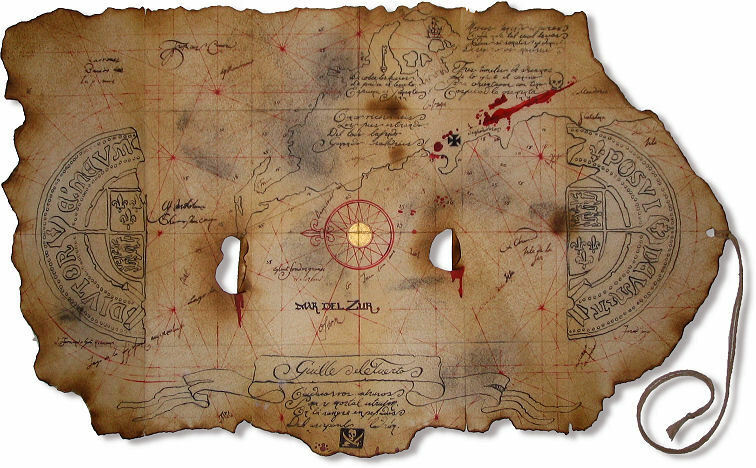 Roadmaps aren’t exactly of the difficulty level the Goonies had to deal with; they have clearly marked labels and landmarks, just like the road you’re on. The same goes for ditching the map and using a GPS device, which are built to be easy enough to operate one-handed and without looking. That’s their purpose, so you shouldn’t have a problem learning how to use one. Granted, in a decade or so cars that even have oil to change will be much less common, but right now they’re the run of the mill and have been since your grandparents were toddlers. Every man should be able to, if needed, change the oil in his car, as well as swap the spark plugs and the air filter. These three things make up the bare minimum maintenance-skills trifecta for car-owners. The only exception to this rule would be if you grew up filthy rich, and only drove cars that required special garage tools and special knowledge and calibration. That’s probably not you. A man needs to be able to manage his money. That’s just a simple fact of life, a part of growing up, and a major factor in whether or not he spends his life alone and miserable. Now, while it’s true that money isn’t everything, it definitely matters quite a bit. A woman isn’t necessarily shallow if she doesn’t want to spend her life with a guy who can’t keep his bank account from over-drafting, she’s just got good sense. A timeless symbol of manhood, cooking the perfect steak is a long sought-after goal for any man who’s ever touched a grill. It’s just one of those things we all have to strive for in life. On top of that, it’s a great way to garner respect around the neighborhood, and it’s sure to get you a reputation as a good cook regardless of any actual cooking skills. The last thing you want is for your own wife or girlfriend to ask that you let your friend man the grill on the 4th of July. It should always be you. The need to be able to swim is one of basic survival. If you fall into a body of water, you need to be able to get back out, otherwise you’re a danger to yourself and others. You don’t need to be an Olympic-style swimmer, but you should at the very least be able to pull off a breaststroke if your life depended on it, and it might, you really never know. If the whole impending doom thing doesn’t sway you, then the fact that you look lame dog-paddling across the lake might. Unless you plan on spending your entire life working construction, and not as the foreman, you’re going to have to write more than one paragraph at some point. 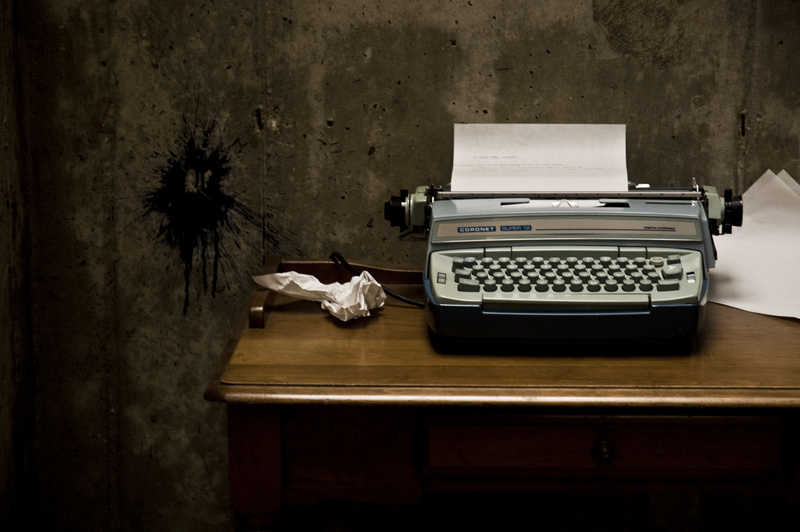 When that time comes, you need to be able to string something together that’s both coherent, and correct. That means spelling, grammar, and proper punctuation, all things taught throughout high school. If, like most young men, you weren’t paying any attention during high school and now can’t write a paper to save your life, there are plenty of resources available on the Internet; take some time and rectify your mistakes before it’s too late. Jeans and a T-shirt are great, every guy needs to be comfortable, and nobody would fault a guy for wearing his favorite jeans to the store. That’s a far cry from going to a job interview, a wedding, or to a yacht party dressed like this. A man needs to have a presence and that means not looking like a drowned rat in unwashed clothes. You need to be able to dress yourself, and women will attest to this. It may be a little more expensive than the thrift store, but the payoff is ten-fold. If you lack fashion sense, and many men do, take a woman with you. There is no better shopping partner than a fashion-conscious woman. Yes, you can run around asking every woman in sight if she can help you fix your broken button, but you’re going to look like a jerk. It’s pretty easy to fix a rogue button if you can get ahold of a needle and thread. 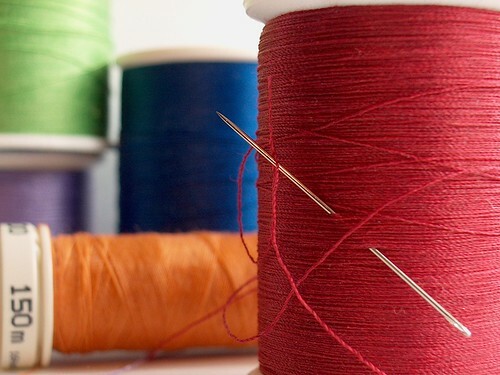 All you need to do is thread the needle, and then start looping it through the button holes and fabric. It doesn’t have to be pretty, it just has to keep the button on your clothes until you can replace them or find someone to do a professional job (like your mother). The last thing you want to do is to just walk around missing a button, that just looks ridiculous. Many men get away without the most rudimentary of laundry skills, but they’re the guys who only own one pair of Levi’s and three black T-shirts. Socks and underwear are always optional to these gentlemen and they live the perennial single life. A man needs to be able to take care of his clothes, and that includes sorting them to allow for color-bleed as well as fabric types. The dryer can also be a deal breaker- even when washing correctly, and you don’t want to end up with a shirt that fits a 10 year old. Learning this skill is actually a pretty involved, drawn-out process, but with enough trips to the laundromat, and enough stupid questions annoying the women that happen to be there, you can learn how to handle your clothes like a fashion expert- and maybe even get a date while you’re at it. 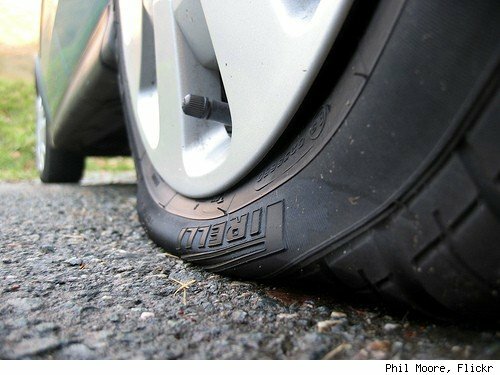 If you’re going to be out on the road, then you need to be able to handle a flat tire or jump a battery. Not knowing these two simple things can be just as bad as walking into the desert with no water. It’s also important that you be able to stop to help others who are stranded on the side of the road when they don’t know how to change their flat tire. Much like swimming, this is a basic survival skill that mankind developed long ago. There is always the off-chance that you may need to spontaneously build a fire, and you should have at least some inkling of how to go about doing it if the need ever arises. You don’t need to become an expert fire-starter, but you should at the very least be aware of the various methods that exist. There is no shame in taking the easy way out; always having a lighter, or a book or box of matches on hand. Weatherproof matches in your glovebox are always a good idea, and flint-strikers are cheap and non-combustible alternatives as well. Man discovered fire, don’t be the guy who never learned how to use it.